Six Day London is a cycling event like no other. Each year it welcomes some of the world’s best professional riders to take part in a variety of sprint and endurance disciplines yet does so within a party atmosphere. Six Day London 2018 took place at the Lee Valley VeloPark, East London, from 24-29th October. Having worked on the event last year, WL was called on once again to supply the technical solutions to create an unforgettable party experience. For WL, the event was overseen by Senior Account Manager Dominic Yates and Senior Project Manager Martin Strods. Dominic comments: “Six Day is always a unique occasion and one which we were delighted to be asked to return to following a successful 2017. As with last year, we were tasked with supplying the lighting, rigging, audio and video support. As there is such an emphasis on creating a ‘party atmosphere’, we had to ensure all four disciplines worked in unison in order for us to provide attendees with an experience like no other”. For the lighting, WL worked closely with Lighting Designer Leo Woolcock to help bring his vision to life. The extensive lighting rig consisted of around 250 moving light fixtures which included the Martin MAC Viper Performance and Wash DXs, Clay Paky Mythos 2s, Martin MAC Aura XBs and Martin MAC 101s. The lighting control came from a pair of Grand MA 2 Lites. Due to there being no available rigging points, all the trusses had to be ground support solutions carefully integrated around the perimeter of the seating and in the main concourse areas. For the audio support, WL drew on the brand new d&b Y Series range which the company has recently invested in. The system was used to supplement the in-house PA system, providing even coverage across the track centre hospitality areas as well as additional coverage for the home straight side of the auditorium. The system utilised by WL consisted of d&b Y8 & Y12 line array, V Subs and Y10Ps. WL also supplied Shure ULXD radio microphones, controlled by a Yamaha CL5 console. For the video aspects, WL provided 63 x 4.8MM Gloshine video tiles that surrounded the triangular DJ booth to add to the overall party experience. Prior to the event, WL had two days on-site for the technical install with one day of rehearsals. Following the six live events, the company then had to de-rig everything overnight. The company deployed a team of 16 on-site technicians led by Lighting Crew Chief Daniel Large and Audio Crew Chief Harry Saxton-McCann. 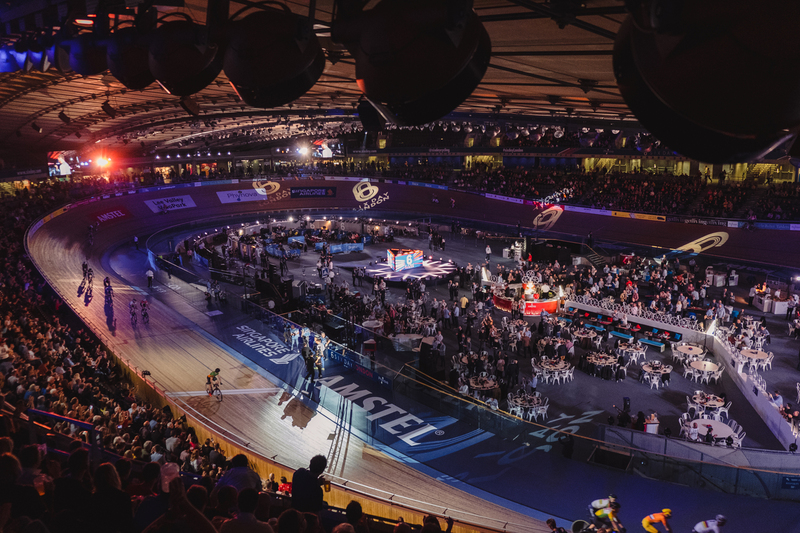 Dominic concludes: “This year’s Six Day London was bigger than ever before and it was fantastic to be asked to provide the technical solutions once again. The event drew on all of our previous experience working on similar high profile public events, along with our access to the very latest technology, and allowed us to offer the complete package and help create an unforgettable few nights”. 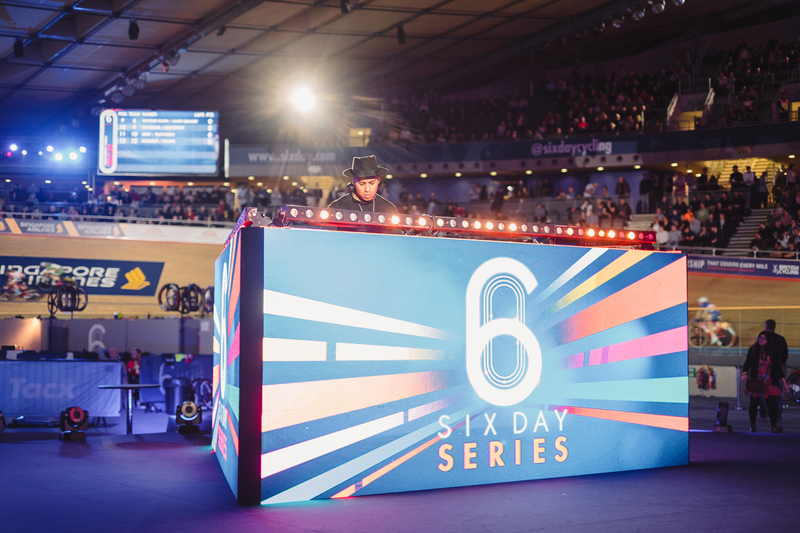 Photos courtesy of Six Day London.